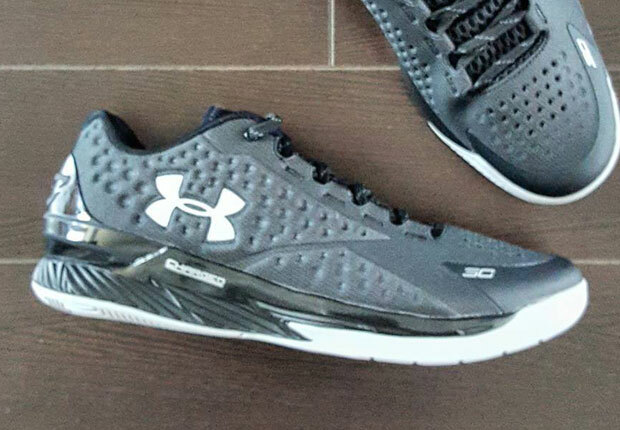 The latest UA Curry One Low pays homage to the off-season with a “Two-A-Days” reference. Steph Curry didn’t get to where he is today based on pure athletic ability. When he won the ESPY for Best Male Athlete recently, Steph joked about his stature. Through the old adage of hard work and determination (and a clutch shooting form passed down from his father Dell) Steph defeated the odds and early injury woes to become one of the NBA’s best and most marketable players. His first signature with Under Armour, the UA Curry One, returns in lowtop form for summer, this time ditching the expected vibrance for a toned down Black, Stealth Grey, and Metallic Silver aesthetic. What do you think of the latest Under Armour Curry One Low? Available August 1st for $110, check out a full view below and stay tuned for more updates right here on Sneaker News.